Nigel Adkins will not hesitate to sacrifice his footballing principles if it means Sheffield United will win promotion from League One next season - according to one of the men who knows him best. 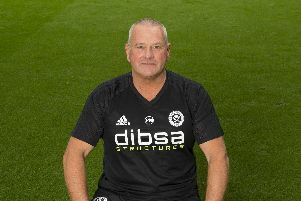 Dean Wilkins, who worked with the new Blades boss at Southampton and Reading, will link up with Adkins for a third time after being appointed first-team coach at Bramall Lane. And the 52-year-old said: “Our remit is to work with the players on a daily basis, individually, technically and collectively. We want to create an environment where players feel confident and can flourish, so they can express themselves on and off the pitch while feeling comfortable. “We’ve been in this division before, we know wins will get us out of it and if we can do that in an attractive way, then great. But there will be times that we have to do it ugly, too, and we are ready for that. Wilkins added: “One of the gaffer’s strengths is that everyone will feel part of the club, no matter where they work.